1885 – Arriving in over 200 crates, the Statue of Liberty is fully delivered to New York City. 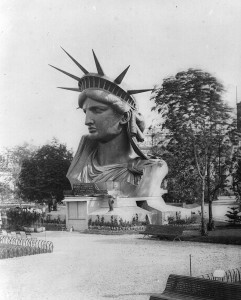 French sculptor Frederic-Auguste Bartholdi, along with Gustave Eiffel, created this statue for America to be a symbol of freedom and friendship between the US and France. Yet, it almost didn’t get assembled due to an argument on who would pay for the pedestal at Ellis Island. President Cleveland finally dedicated the statue on October 28, 1886.